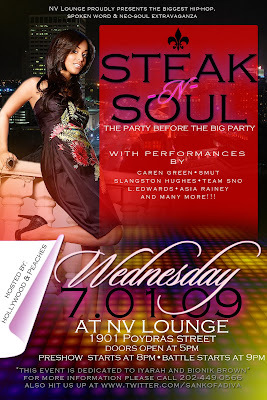 ashlee nicole spills | blog: Steak N Soul @ NV Lounge. Tonight's steak night will feature the best spoken word, neo-soul and hip-hop artists NOLA has to offer. $5 mixed drinks including all premium alcohol.